The Gorilla Silverback ATV Mud Tire is easy to describe. 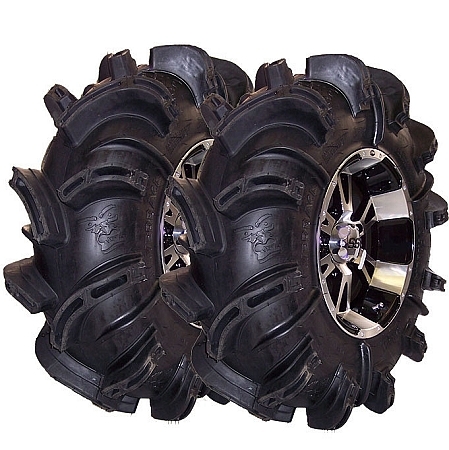 It's simply the most aggressive ATV tire in the world. There is NO other tire on the market that compares to the size, tread, sidewall wrap, design, cleaning properties, and sheer BADNESS of the Silverback. Silverbacks have a 6-ply rating and can withstand all the abuse that you want to throw at them. The Silverback lug wraps ALL THE WAY to the bead on both sides and allows you to get traction in ruts when ALL other tires just leave you hanging. The great tire designers in the sky really did it right when they designed the most intriquite design known to man...and then called it Silverback...the biggest, baddest Gorilla of them ALL! 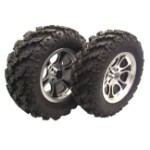 - Gorilla Silverback ATV Tires are sold individually. - In most cases our Gorilla Silverback tires ship out within 1 business day! My husband and I both have a set of these on our Can Am Outlanders. Highly recommended! i have a friend that gad these on a 420, and he could go anywhere a can am could go. these tires dig!!! awesome tires! im just scratching my head why they dont put high lifter outlaws on this website!! GREAT tire awesome in the mud, to my surprise they are actually not that bad on the road and trails. there very durable and look great on my quad! These Silver Backs cut right through all the nasty mud. What a difference from my old Mud Lites! I highly recommend these tires for anyone spending their weekends playing in the mud. Q: what kind of warranty comes with the Silverback and for how long? 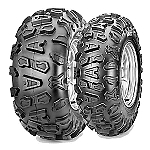 A: They are the same as any other ATV Tire. If they have any kind of mfr. defect they will get replaced. Other than that they don't have a warranty. Q: Price & weight on 2-30x9-14 and 2-30x11-14 [+$47.00]? Q: Do they come with tires and rims? A: No, these are just tires, no rims included. Q: Does this come with rims and tires? A: No, these are just tires. We can mount rims on them for you if you buy rims too. Let us know.